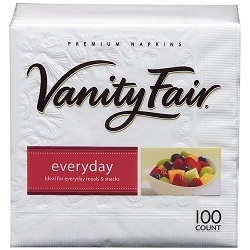 Print out this new Vanity Fair Napkins coupon and bring it to Walmart to score this deal! = $1.47 each wyb 2! Thanks, The Krazy Coupon Lady and Wild for Wags!